The dual emphasis on reading comprehension and text creation develops highly valuable transferable skills that provide important foundations for any learning experience. Topics such as a critical evaluation of information and sources, fake news and online privacy prepare students for today's information society. Varied tasks provide ample opportunities for differentiation and allow students to follow their own interests. As regards printing, text and layout, and the excellent presentation of the comprehensive teacher's file, all the components of the materials pack demonstrate an equally high standard of production. 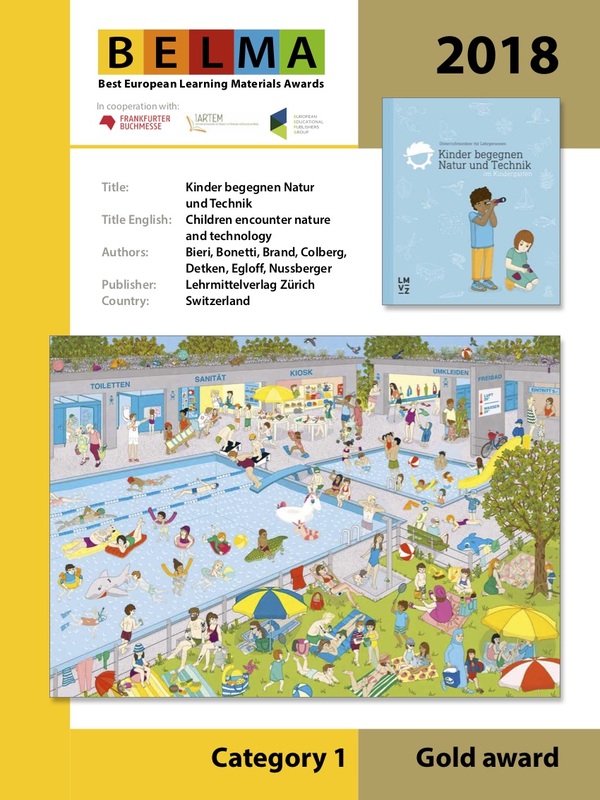 The material provides a particularly large range of varied topics including technology in everyday life, farm animals and edible plants, or vehicles and traffic which have been carefully designed to meet the specific needs and interests of the kindergarten audience. The teacher's file has been particularly well designed with a really substantial introduction to the material concept, very detailed lesson plans, outstanding cross-referencing of learning activities and resources or genuinely relevant photographs showing learners carrying out tasks. A playful ice-breaker, team-building activities and making rules together are great ways of helping the class and the teacher to get to know each other in an informal, non-stressful way. Instead of children being obliged to sit at a table for long periods of time, learning takes place through group activities, discussion, reading and listening, discovery and lots of movement-based games. The teachers' book, the main source in the material, is very comprehensive. It provides teachers with everything from methodological tips, lesson plans and game ideas to extra material and copy materials. There is additional material available online. 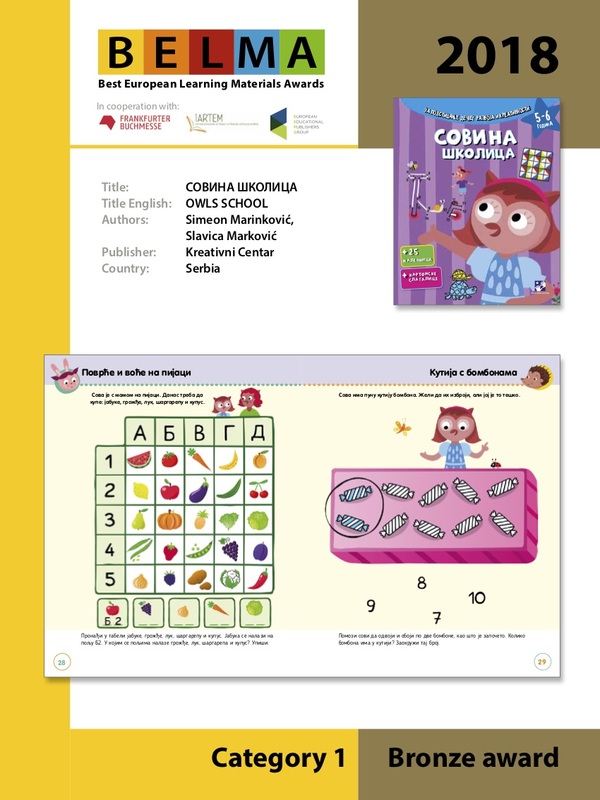 The series gradually offers more complex tasks and activities, thus addressing the needs of children aged 1 to 6 as diverse learners not only by age but also as unique individuals. A strong emphasis is placed on learning within a playful context. The rich variety of activities (colouring, drawing, rhyming, singing, listening to and telling/sharing stories, matching objects, writing, even solving simple problems) facilitate the learning process, address specific learning styles, and impact on different aspects of children's development. 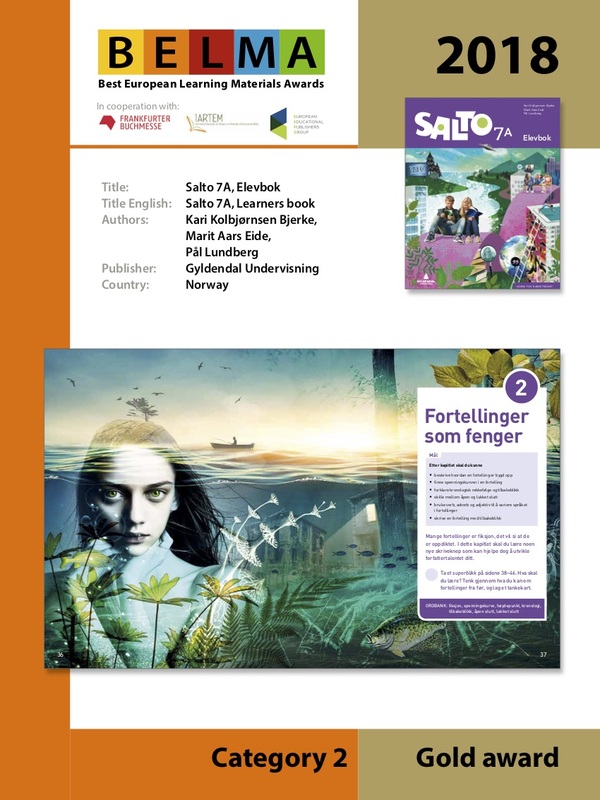 Teaching and learning within the series take into account the advantages of both individual and group work, and offer stimulating fun and a collaborative environment. 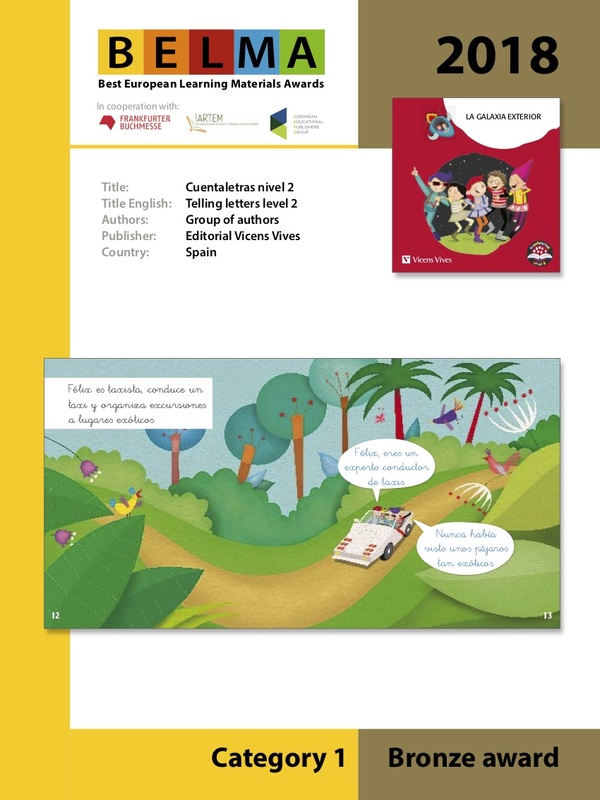 The whole set of fifteen readers is made very attractive and motivating for young learners thanks to the fact that they are illustrated by talented artists applying a wide variety of distinctive styles. The gradual introduction of letters, one reader after the other, as well as the systematic recycling of letters and words used in previous texts in new stories, help the readers to remember what they have learned and provide a useful progression. A set of concise and useful introductory guidelines gives parents or teachers very helpful advice so as to support children in the acquisition of reading skills and check their progress. 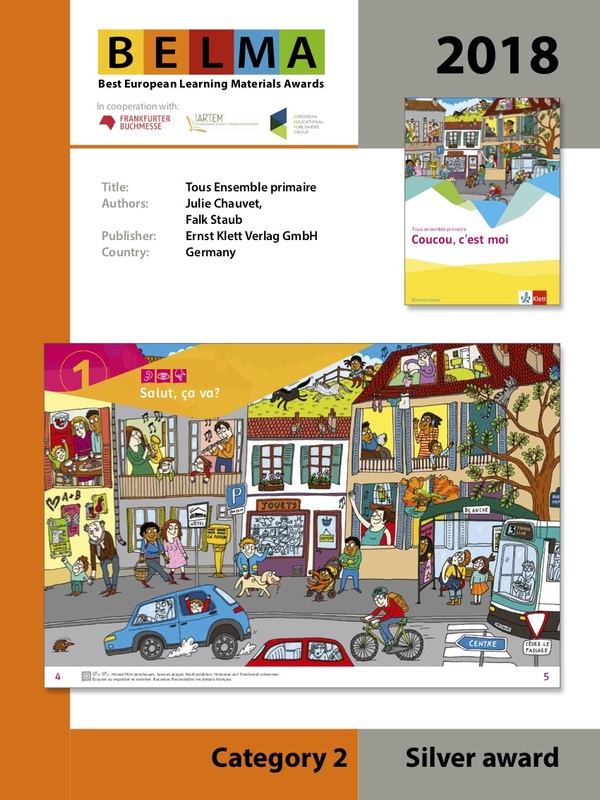 A really attractive, age-appropriate and well-designed French course with contemporary cartoon-like illustrations and photos of children with whom learners can easily identify. 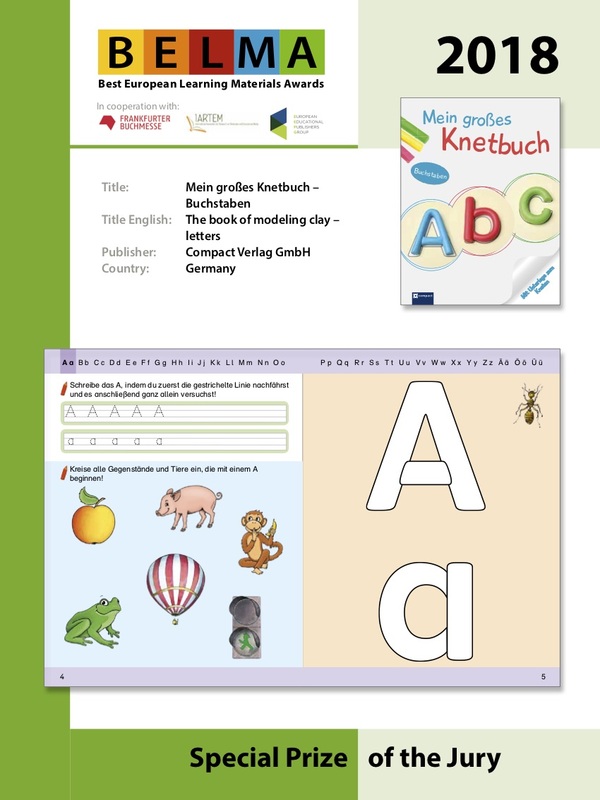 The digital teacher assistant DVD provides a version of the course which can be used on a white board with a lot supplementary materials, including very lively animated videos, songs, flashcards, exercises or didactic hints for the teacher. The French language content has been carefully and appropriately chosen with a really up-to-date French environment, as well as a selection of expressions like "génial, trop cool, nul" used by French school learners of the same age. 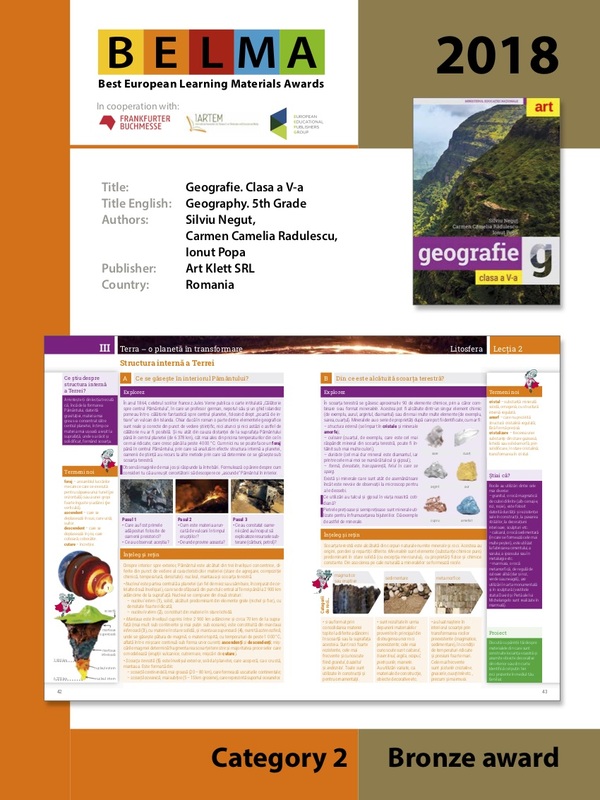 Geografie. 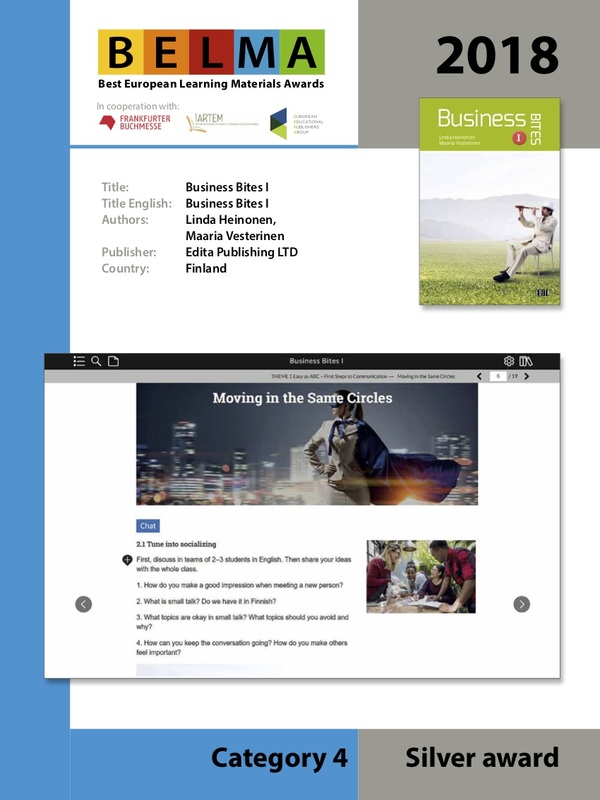 Clasa a V-a is a worthy and rich combination of printed, audio, video and other kinds of digital resources with interactive features, focused on both effective teaching and sustainable student learning. The units are structured in such a way as to combine successful theoretical approaches with practically oriented lessons. Practical workshops and a summary of what has been learned in each unit are combined with appropriate testing. The audio and video records, and the added value of the avatar application in the digital versions, along with the assessment tasks, portfolios and project based work, really motivate and facilitate the student learning process and outcomes. The materials pack is really comprehensive and provides a whole range of different types of activities offering the learners (and the teacher) a really good variety of motivating exercises, practical tasks, or self-assessment activities. The differentiation concept is very well thought through. Without stigmatizing any students, the 4 different levels that are added to the basic material appropriately differentiate both upwards and downwards. 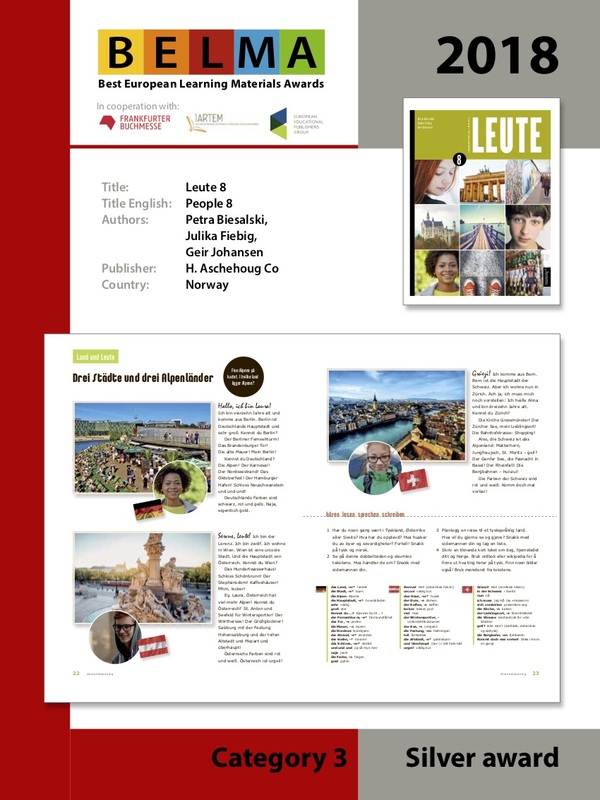 The topics of the chapters are recognisably competence-oriented (grammar and orthography are separate competences themselves), but also cover a very useful selection of topics of interest and relevance to 10-year olds. The different components of the learning pack are carefully cross-referenced and enable the learners to easily navigate between the learner's manual, the workbooks or the dedicated website. The interspersed "Methode" activities in the learner's manual are particularly attractive as they offer clearly described step by step motivating activities which can helpfully serve as consolidation practice or as an assessment task for the preceding units. 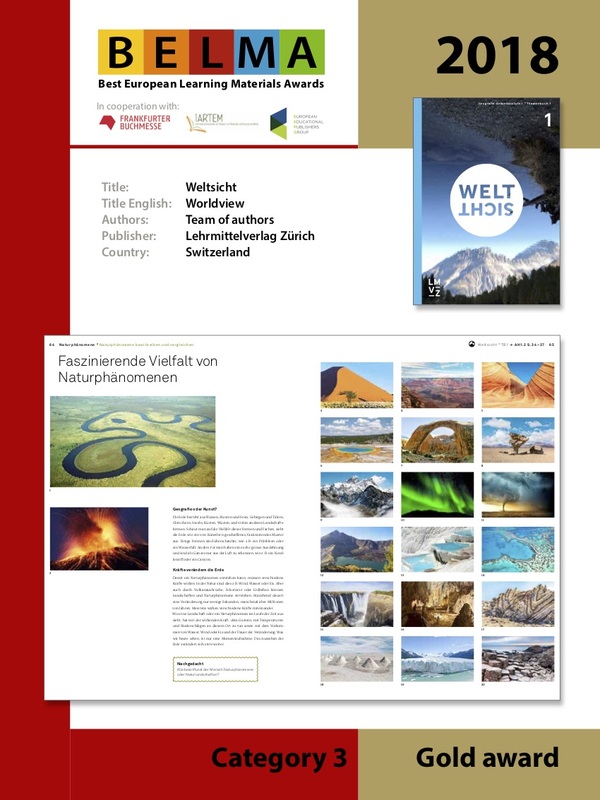 The learners are encouraged to think about their personal position concerning the questions raised by the course, especially in the section "Denk weiter" where one of the suggested tasks can be carried out using a smartphone. 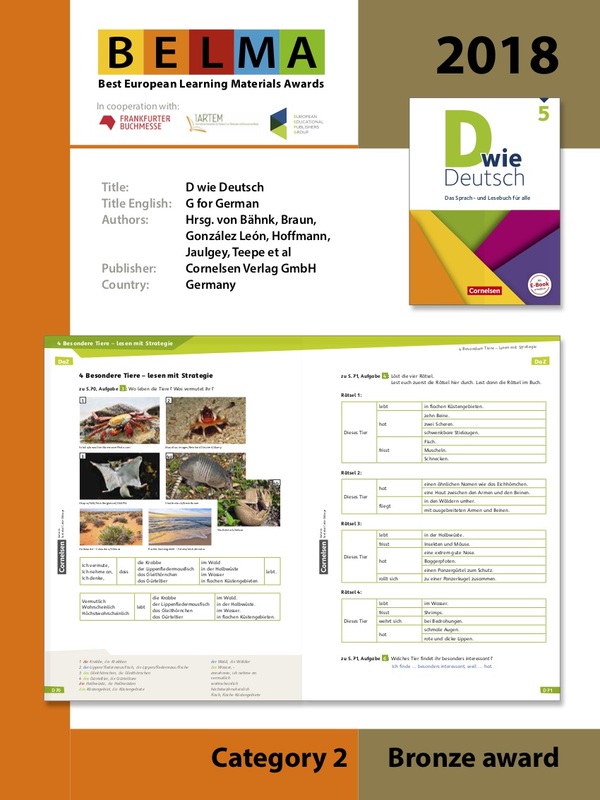 A wide variety of well-illustrated exercises of different types (ranging from ones that help to acquire knowledge to ones that help to consolidate or apply it, through to ones that reflect the learning process) appear in the workbook - along with a very explicit listing of the objectives of the exercises. This is a powerful and bold visual concept with large pictures and graphical elements (geometric as well as typographic) that stimulate associations and give a stable context to the other materials. There is a very good balance of race, nationality, gender and age: students can identify with this and also learn about cultural differences. The digital material is well-structured for teachers who can use it to build up a school year plan; lesson plans, audio material as well as templates to copy and nicely laid-out tests contribute to lesson organization. The signposting and differentiation is very well thought through. The students always know where they are and what they are supposed to do. The different learning paths allow for individualisation and differentiation. The students are usefully encouraged to use the sources as a basis for research and independent acquisition of knowledge; the inclusion of historical sources really makes the material interesting to work with. 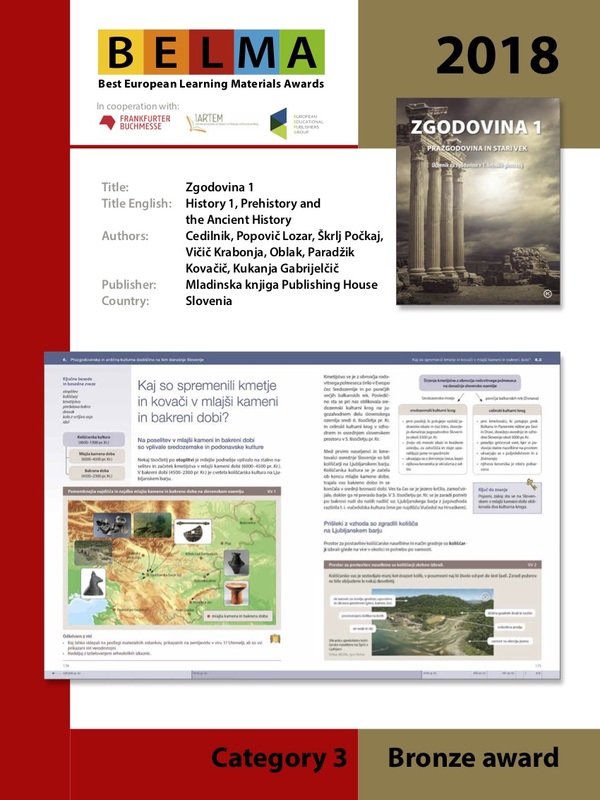 The material includes really well selected and relevant illustrations, from images of artefacts via maps to works of arts, diagrams such as mind maps, drawings and comic-style illustrations. The exercises encourage the students to reflect upon their own writing and oral performances in cooperation with other students. The activities are well-designed, very creative and with an element of surprise, making the course a playful and engaging experience for students. The material addresses the students directly, involving them with open exercises where they can bring their own ideas and creativity into play. 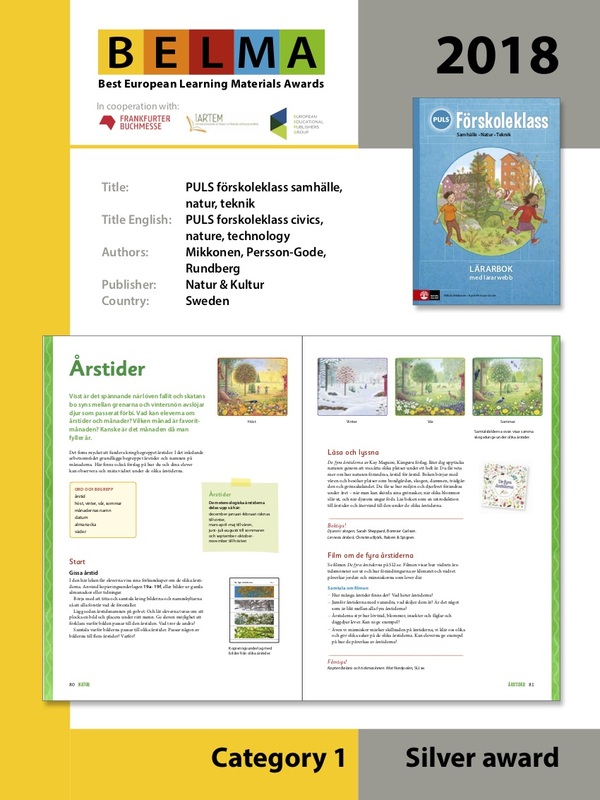 Each of the units supports really useful specific language acquisition using business glossaries which enable students to acquire vocabulary for specifically vocational purposes. The material deals in an interesting way with intercultural aspects, for example informing and advising students about different forms of address, greetings or introductions in business contexts which they might encounter in India, Japan or in Muslim countries. The on line tasks are clearly laid out, allowing the learner to successively have a first try, display his/her score for the exercise, display the actual solutions and eventually retry. Publisher : Sviesa Publishers, Ltd. The physical education pack allows for a "natural" type of integration and active learning, building awareness, encouraging a sensitivity to nature and supporting healthy styles of living. The teacher's manual has a unified structure which makes it easy to use. The recommendations and advice are straightforward. 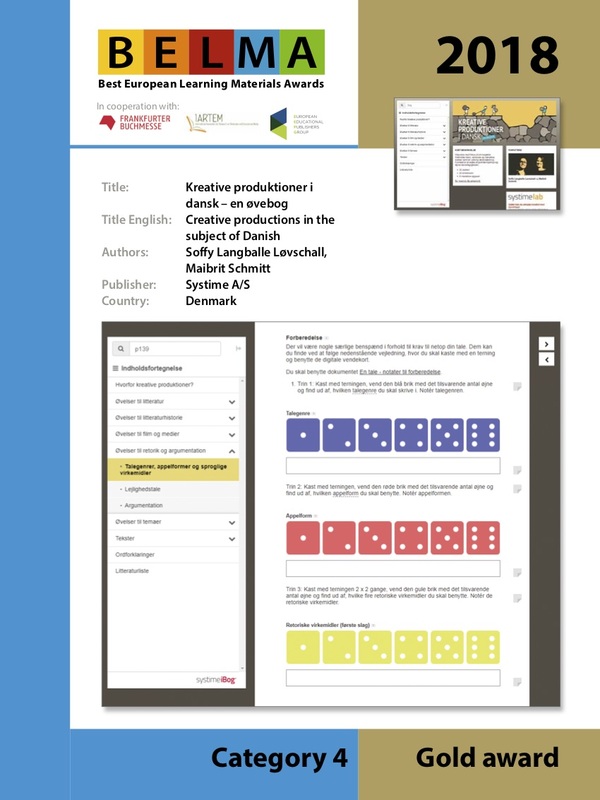 The digital version assists teachers in their planning and implementation activities. The material seriously takes account of intercultural awareness and sensitivity. 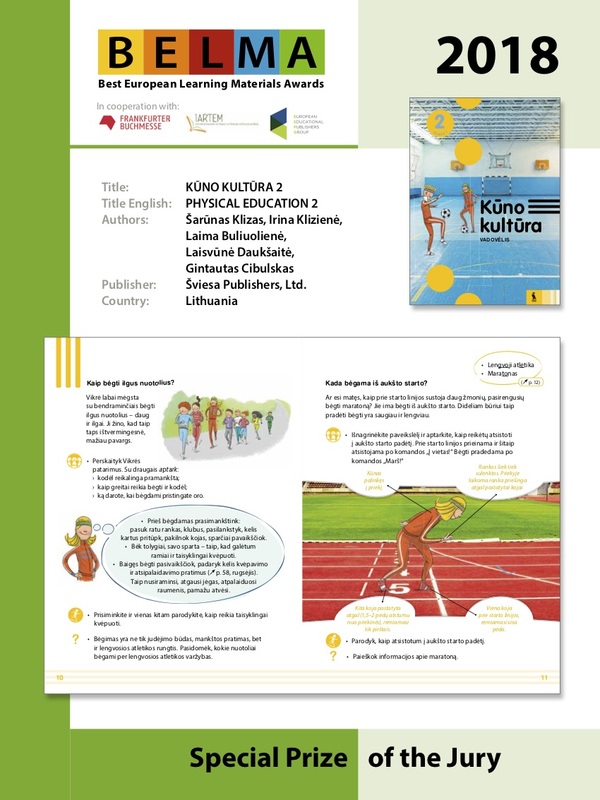 Gender representation is balanced; the two characters featured in the textbook support this approach. If so desired, the pages could be used in any order, according to the preferences of the teacher. The overlay is a useful element in the production process, making the material easier to handle, and the large format is an aid to readability.